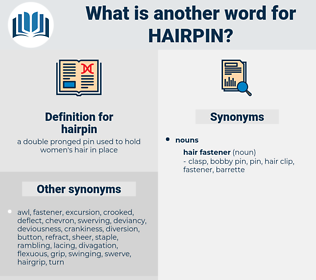 What is another word for hairpin? She took a wire hairpin from her hair and pushed it through the keyhole. Somewhat solaced by these gloomy reflections, she took the hairpin Annie had loaned her to pin up a lock of her heavy hair, and began tracing out pictures on the window - pane. 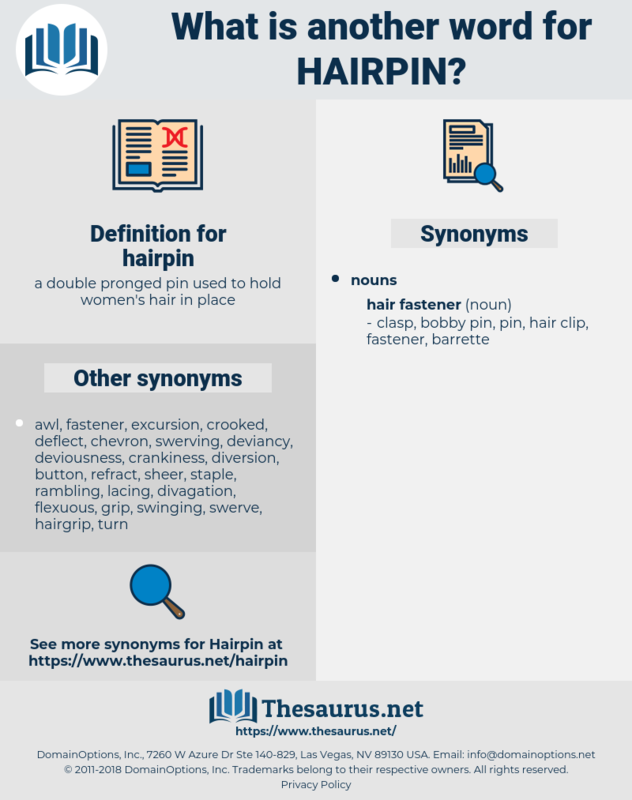 bodkin, hairgrip, bobby pin, grip.